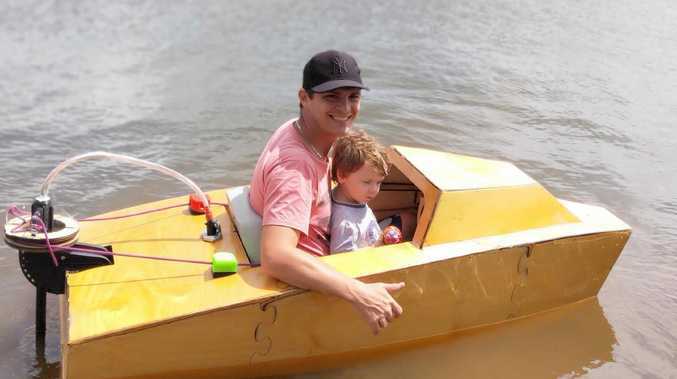 Jason Gobus and his son Franklin Gobus, 2, in his homemade boat. 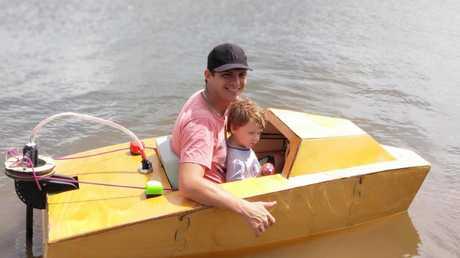 WHEN Jason Gobus saw a video of a mini boat on YouTube, he knew he had to have one. The Trinity Park father of three tracked down the video maker and asked for design plans. Then he got down to work. "It took a while, but I finally got it done. I was really nervous taking it into Lake Tinaroo," Mr Gobus said. But after checking the boat out for leaks and stability, he decided it was ready to go on the weekend. "I chucked my five-year-old in it first. It's got a steering wheel, so he got used to it pretty quickly," Mr Gobus said. 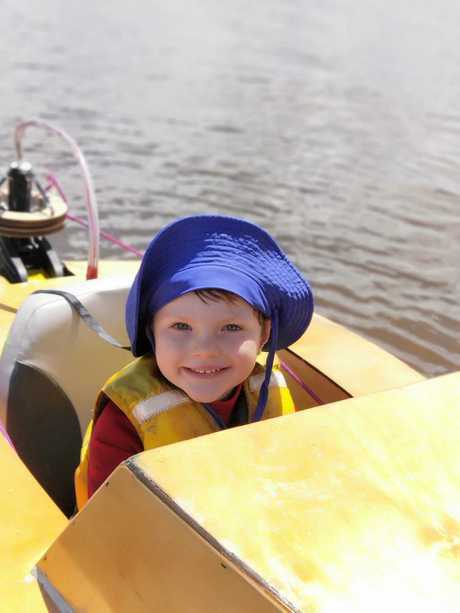 He said his three boys loved being able to steer the tiny boat around, but it was time to let it go. "I'm a firm believer in finishing what you start, so building it is a badge of honour for my chest," he said. 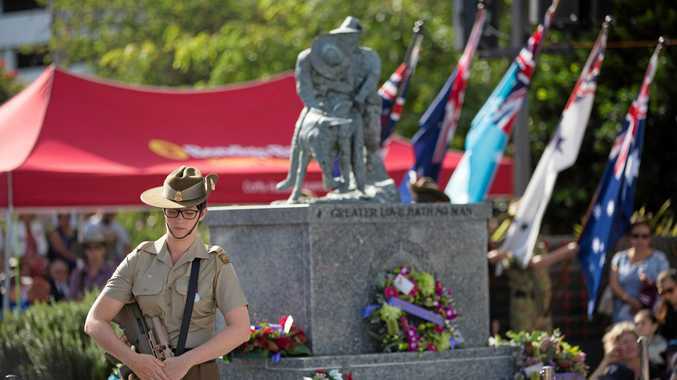 "But the next time we'll be at Tinaroo will be eight months from now, so we've decided to sell it and put the money from it into a cubby house." But word to the wise - Mr Gobus said he wouldn't be game to put it into known croc habitats because it is very, very small. The mini boat is on sale on gumtree.com.au for $600.